There are literally thousands upon thousands of incredible photo ops available everyday right under our noses. The fact they are happening as microscopic scenes makes them impossible for us to capture which is why Nikon holds their Photomicrography Competition every year, appropriately dubbed Nikon’s Small World In Motion. The idea here is to encourage photographers to explore the beauty and complexity of life as seen through the light microscope. It is essentially a video competition that encompasses any movie or digital time-lapse photography taken through the microscope. 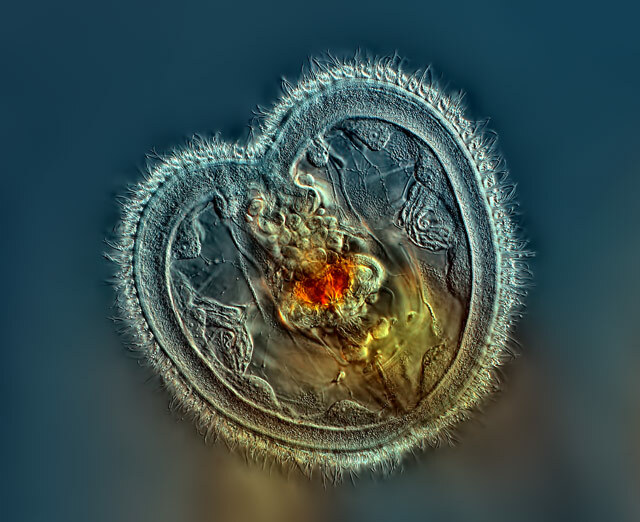 They recently announced this year’s winner awarding the 2016 top prize to a fascinating image of one microorganism called a ciliate attacking and eating another, even smaller ciliate. The footage itself was captured by Wim van Egmond from the Micropolitan Museum in the Netherlands. He scooped the microorganisms out of a pond in his back yard and set up the camera just in time to see mini murder. van Egmond’s inspiration was the hope of inspiring his friend to take more interest in her microscope. Luckily he had his camera ready when he recognized the predator and prey so close together, capturing a real-time recording when the attack began. 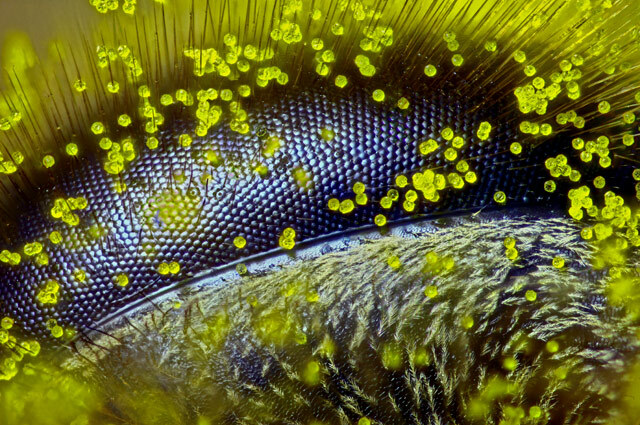 Mr. van Egmond is a former first-place winner of Nikon Small World, Nikon’s long-standing sister competition awarding still photography captured under the microscope. 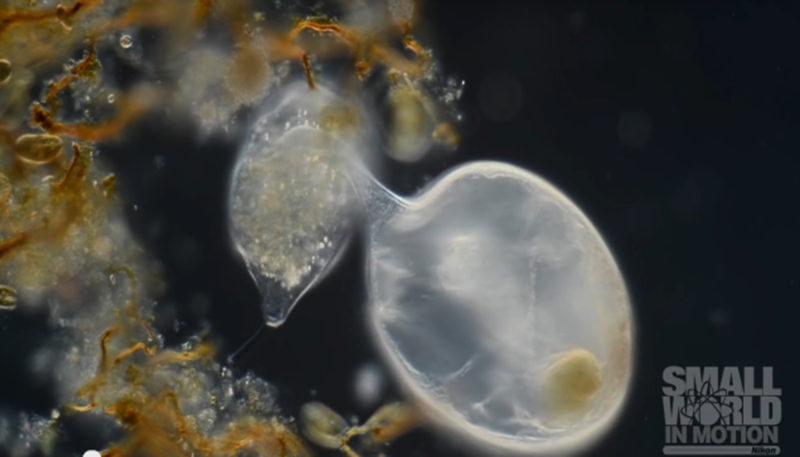 In recent years he has put more time in moving images, thanks to advancing DSLR video capabilities that allow him to capture movement and behavior of microorganisms. “For me, microscopy is about exploring living organisms – so you should see them alive and moving,” said van Egmond. Nikon explains that the continued advancement of digital technology led to the creation of Nikon Small World in Motion five years ago, as scientists and artists were suddenly able to show another dimension to life under the microscope. The still image Nikon Small World competition goes back over 40 years. The second place winner was Danielle Parsons’ footage of the contents of a termite’s gut, showing the organisms that help the insects digest wood, while third place was won by Gonzalo Avila’s video of parasitoid wasp larva ripping out its host. Apparently the microorganism world is just as relenting and just as hectic as the one we live in. Here’s a look at a few past winners of the Nikon competition as well.